For other people named Luis García, see Luis García (disambiguation). This name uses Spanish naming customs: the first or paternal family name is García and the second or maternal family name is Sanz. * Senior club appearances and goals counted for the domestic league only and correct as of 10 April 2016. Luis Javier García Sanz (born 24 June 1978) is a Spanish professional footballer who plays as a left winger. Although naturally left-footed, he had the ability to kick with both feet and has a good aerial game, despite a small frame. He played professionally for Barcelona and Atlético Madrid in his homeland, amongst others – being brought up in the former's youth ranks – appearing abroad for Liverpool, with which he won one Champions League amongst other major titles. Born in Badalona, Barcelona, Catalonia, García was a product of local FC Barcelona's prolific youth ranks but, after two successful seasons with its B-team, he left on loan for Real Valladolid, where he made his La Liga debut on 22 August 1999 in a 0–1 away loss against CD Numancia. He finished the campaign at Segunda División's CD Toledo also on loan, his four goals not being enough to prevent relegation for the Castile-La Mancha side; on 18 August 1998, he had made his first competitive appearance for the Blaugrana, coming on as 78th-minute substitute for Boudewijn Zenden in a 1–2 defeat at RCD Mallorca for the Supercopa de España. Subsequently, García played another year in the second level, being instrumental in CD Tenerife's promotion by scoring 16 league goals under the guidance of manager Rafael Benítez. Loaned for the fourth time by Barcelona, he returned to Valladolid for 2001–02, netting seven top division goals in 25 contests, including two in a 5–1 away success over Tenerife. In the 2002–03 season, García was sold to Atlético Madrid for €3.6 million but, after a highly successful individual campaign (nine league goals), Barcelona activated a clause which allowed the player's return for an additional €1.4 million. At the Camp Nou he had another good year, helping the Blaugrana to the second place in the league, five points behind champions Valencia CF. García was signed by former Tenerife coach Benítez for Liverpool on 20 August 2004, on a five-year contract for a fee of £6 million. He was the fourth Spaniard signed by the club that summer and, nine days after arriving, he made his Premier League debut in a 0–1 away loss to Bolton Wanderers, where he had an apparently legitimate goal ruled out for offside; his first goal with his new club came against West Bromwich Albion at Anfield on 11 September, concluding a 3–0 win, and he went on to net seven more times in the league that season, including the headed winner in the Merseyside derby against Everton on 20 March 2005. García was also a key player in Liverpool's successful campaign in the UEFA Champions League, scoring winning goals against Juventus and Chelsea (a controversial one in the fourth minute, dubbed a "ghost goal" by Chelsea manager José Mourinho), in the quarter-finals and semi-finals, respectively. Having appeared in the final against A.C. Milan, he finished his first season in English football with 13 successful strikes in all competitions. García did not make so much of an impact in the 2005–06 campaign, although he weighed in with some vital goals, including a lofted finish against Chelsea to put them out of the FA Cup in the semi-finals. He was suspended for the final victory against West Ham United, having been sent off in a league game just days after his semi-final winner, incidentally against West Ham; early into the season, he also scored the third goal in the Reds' 2005 UEFA Super Cup final win against PFC CSKA Moscow. On 10 January 2007, following the 3–6 loss to Arsenal in the League Cup which was his final game for Liverpool, it was confirmed by the club that García had ruptured the anterior cruciate ligament (ACL) in his right knee during the game. He would be out for at least six months. His positive relationship with club fans was in great measure due to the fact of his decisive goals against Chelsea. It was further underlined by the song frequently sung in his honour, to the tune of "You Are My Sunshine": "Luis García, he drinks Sangria/he came from Barça to bring us joy!/He's five-foot seven, he's football heaven/So please don't take our Luis away!" In the 2013 poll of the 100 Players Who Shook the Kop, García ranked 34th. All in all he scored 30 goals in 121 appearances for Liverpool, with ten coming in the Champions League, five in the knockout stages of the 2005 triumph. In early July 2007, García signed with former team Atlético Madrid for around £4 million, with his transfer being negotiated between the two clubs around the same time that they were arranging a deal for Fernando Torres in the opposite direction. Nonetheless, these deals were conducted separately. After a first season, where he played mainly as backup to Portugal's Simão Sabrosa, though still managing 30 league appearances, with García playing both matches against former side Liverpool in the following campaign's Champions League group stage. On 4 November 2008, he came on as a late substitute at Anfield to appreciative applause. During the league, however, he fell out of favour, appearing mainly from the bench and sometimes not even making the list of 18. On 11 August 2009, it was confirmed García had reached an agreement with Racing de Santander. His season was quite unassuming, as he appeared in only 15 league matches without scoring and the Cantabrians narrowly avoided relegation. On 28 August 2010, García signed a one-year contract with Greek team Panathinaikos FC. On 4 September he flew back to Anfield to take part in Carragher's testimonial match, scoring a goal in the second minute; ten days later, he returned to the Camp Nou, playing the last 20 minutes in a 1–5 loss for the Champions League group stage. 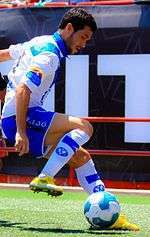 On 1 July 2011, 33-year-old García signed with Mexican team Puebla FC. On the 23rd he scored his first goal with La Franja, against Club Atlas. In early June 2012, García signed for another club in the Liga MX, Club Universidad Nacional, joining alongside Martín Romagnoli for an undisclosed fee. He made his official debut against Club Tijuana, playing 76 minutes. On 14 January 2014, aged 35, García announced his retirement from football. He made the announcement on his official website, saying, "Today I've decided to retire as a professional footballer, thanks for the interest from the teams that spoke with me in recent weeks, but I think the time has come to end this important chapter in my life and move to the next page." García came out of retirement in July 2014, joining newly formed Indian Super League franchise Atlético de Kolkata as their Marquee player ahead of the league's inaugural season, the first of such players to join the league. He started in the league's opening match, as his new team won 3–0 at home against Mumbai City FC; on 21 November he had a wrongly disallowed goal in an eventual 1–2 loss at Kerala Blasters FC but, despite finishing the regular season in third, Kolkata won the league final against the same opponent, although he was an unused substitute. He also won the league's Manyavar Most Exciting Player award. In next season, Garcia didn't consider joining Atlético de Kolkata in the first place, so the team hired Hélder Postiga as their marquee player although he was ruled out for 3-weeks due to injury while playing his debut ISL match. On 16 January 2016, he signed for Central Coast Mariners FC initially until the end of the season. He made his debut one week later, coming off the bench and playing a role in his team's goal in a 1–2 loss to Western Sydney Wanderers FC. In the next match, against Wellington Phoenix FC, he was again used as a substitute, scoring one goal and setting up two more in a 3–1 win. Garcia will serve as a pundit for beIN Sports during their coverage of the UEFA Euro 2016. After a productive first season with Liverpool, García made his debut for the Spanish national team on 26 March 2005, appearing in a 3–0 friendly win with China in Salamanca. On 12 November of that year, he scored a hat-trick in a 5–1 home success against Slovakia for the 2006 FIFA World Cup qualification play-offs. García was then chosen as part of the nation's squad-of-23 for the finals in Germany. He started in wins against Ukraine and Tunisia, and was used as a substitute in the round-of-16 1–3 loss to France. ↑ "Luis García". Indian Super League. Retrieved 20 January 2015. ↑ "El Numancia sigue haciendo historia y se estrena con un triunfo" [Numancia continues to make history and has winning debut] (in Spanish). El País. 23 August 1999. Retrieved 6 November 2015. ↑ "Sólo Xavi aprueba el primer examen" [Only Xavi passes first test] (in Spanish). Mundo Deportivo. 19 August 1998. Retrieved 6 November 2015. ↑ "El Tenerife, patético" [Tenerife, pathetic] (in Spanish). Mundo Deportivo. 29 April 2002. Retrieved 6 November 2015. ↑ "Liverpool grab Garcia". BBC Sport. 20 August 2004. Retrieved 14 December 2014. ↑ "Bolton 1–0 Liverpool". BBC Sport. 29 August 2004. Retrieved 14 December 2014. ↑ "Liverpool 3–0 West Brom". BBC Sport. 11 September 2004. Retrieved 14 December 2014. ↑ "Liverpool 2–1 Everton". BBC Sport. 20 March 2005. Retrieved 14 December 2014. ↑ "Motion expert says Garcia's shot did cross the line". The Independent. 5 May 2005. Retrieved 18 August 2007. ↑ "Red-card duo face anxious wait". ESPN Soccernet. 26 April 2006. Retrieved 15 June 2012. ↑ "Liverpool 3–1 CSKA Moscow". ESPN Soccernet. 26 August 2005. Retrieved 15 June 2012. ↑ Mole, Giles (10 January 2007). "Liverpool hit by Garcia injury blow". The Daily Telegraph. Retrieved 14 December 2014. ↑ "100PWSTK: The full 2013 list". Liverpool F.C. 8 August 2013. Retrieved 14 December 2014. ↑ "Luis García returns to Atlético". UEFA.com. 3 July 2007. Archived from the original on 5 July 2007. ↑ "Champions League: Liverpool v Atlético Madrid – as it happened". The Guardian. 5 November 2008. Retrieved 6 November 2015. ↑ "Luis García, fuera por decisión técnica" [Luis García, out due to technical decision] (in Spanish). Marca. 10 January 2009. Retrieved 6 November 2015. ↑ "Mercado: El Racing de Santander ficha a Luis García" [Market: Racing de Santander signs Luis García] (in Spanish). Goal.com. 11 August 2009. Retrieved 6 November 2015. ↑ "Luis García rescinde su contracto con el Racing de Santander" [Luis García rescinds his contract with Racing de Santander] (in Spanish). Fichajes. 13 August 2010. Retrieved 6 November 2015. ↑ "Messi makes merry in Barça stroll". UEFA.com. 14 September 2010. Retrieved 6 November 2015. 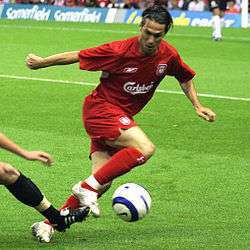 ↑ "Former Liverpool star and hero of Istanbul Luis Garcia retires". Irish Independent. 14 January 2014. Retrieved 14 January 2014. ↑ "Luis Garcia embarks on an Indian adventure". Goal.com. 7 July 2014. Retrieved 7 July 2014. ↑ "Ex-Liverpool stars Luis Garcia and Josemi start as Atletico de Kolkata win first Indian Super League clash against Mumbai City". Daily Mail. 12 October 2014. Retrieved 13 October 2014. ↑ "Atletico de Kolkata denied late equalizer by controversial goal-line decision". Goal.com. 21 November 2014. Retrieved 22 November 2014. ↑ Bali, Rahul (20 December 2014). "Kerala Blasters FC 0–1 Atletico de Kolkata: Rafique wins the ISL for Ganguly's outfit". Goal.com. Retrieved 21 December 2014. ↑ "#1stchampion". Facebook. Retrieved 22 December 2014. ↑ "Atletico de Kolkata sign Helder Postiga as marquee footballer". Retrieved 2016-08-11. ↑ "ISL 2015: ATK's marquee player Helder Postiga ruled out for three to four weeks - Firstpost". 2015-10-06. Retrieved 2016-08-11. ↑ "Breaking news: Mariners land marquee man – Luis Garcia". Central Coast Mariners. 16 January 2016. Retrieved 16 January 2016. ↑ "Western Sydney Wanderers beat Central Coast Mariners 2–1 in Gosford to go top of A-League ladder". ABC. 23 January 2016. Retrieved 1 February 2016. ↑ "Central Coast Mariners beat Wellington Phoenix 3–1 thanks to Luis Garcia's excellent display in A-League". ABC. 30 January 2016. Retrieved 31 January 2016. ↑ "Preview: #GraciasGarcia & #F3Derby". Central Coast Mariners. Retrieved 9 April 2016. ↑ "Aperitivo oriental" [Oriental hors d'oeuvre] (in Spanish). Mundo Deportivo. 27 March 2005. Retrieved 23 November 2013. 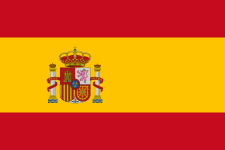 1 2 "Spain 5–1 Slovakia". BBC Sport. 12 November 2005. Retrieved 23 November 2013. ↑ "Luis García: Luis Javier García Sanz". BDFutbol. Retrieved 24 September 2014. ↑ "Luis García". Soccerway. Retrieved 8 July 2014. ↑ "A las puertas del mil" [Nearing the 1000th] (in Spanish). Mundo Deportivo. 3 September 2006. Retrieved 11 December 2014. ↑ Garcia missed the 2006 FA Cup final due to suspension. However, additional medals are awarded by the FA. Wikimedia Commons has media related to Luis García Sanz.